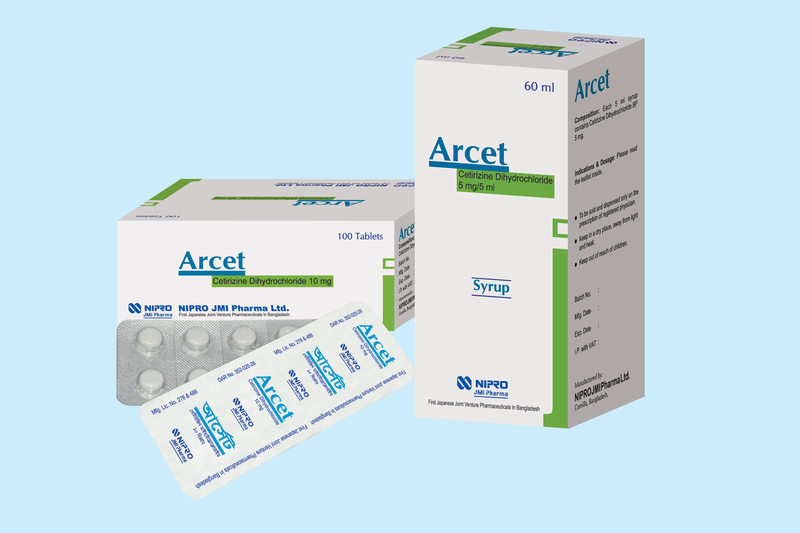 Arcet (Cetirizine Dihydrochloride) is a potent H1 receptor antagonist without any significant anticholinergic and antiserotonic effects. At pharmacologically active dose levels, it has almost no drowsiness effect and does not cause behavioural changes. It inhibits the histamine mediated early phase of the allergic reaction and also reduces the migration of inflammatory cells and the release of mediators associated with the late phase of the allergic reaction.